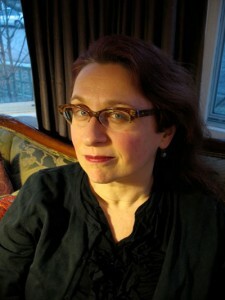 Audrey Niffenegger is the author of the international bestsellers The Time Traveler’s Wife and Her Fearful Symmetry, as well as a fine artist who has published four illustrated books with Abrams: The Three Incestuous Sisters, The Adventuress, Raven Girl, and The Night Bookmobile. Eddie Campbell is an award-winning comics writer and artist. His work includes From Hell with Alan Moore as well as the autobiographical Alec: The Years Have Pants and The Playwright (with Daren White). They both live in Chicago and London.